Bankimchandra Chattopadhyay. 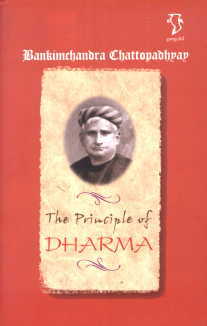 Translated from Bangali by Tapobrata Sanyal, Introduction. 1. Cultivation -- what is sorrow. 2. What is happiness. 3. What is Dharma. 4. What is humanity. 5. Cultivation. 6. Harmony. 7. Harmony and happiness. 8. Physical faculties. 9. Knowledge-acquiring faculty. 10. Devotion to man. 11. Devotion to God. 12. Devotion to God -- Sandilya. 13. The Bhagavad Gita -- Its broad objectives. 14. The Bhagavad Gita -- Karma. 15. The Bhagavad Gita -- Knowledge. 16. The Bhagavad Gita -- Renunciation. 17. On meditation. 18. The Bhagavad Gita -- Bhakti Yoga. 19. Devotion to God according to Visnu Purana. 20. Devotion -- its practice. 21. Affection. 22. Love for self. 23. Affection to Kin. 24. Patriotism. 26. Love for animals. 27. Kindness. 28. Mind-gratifying faculty. Conclusion.